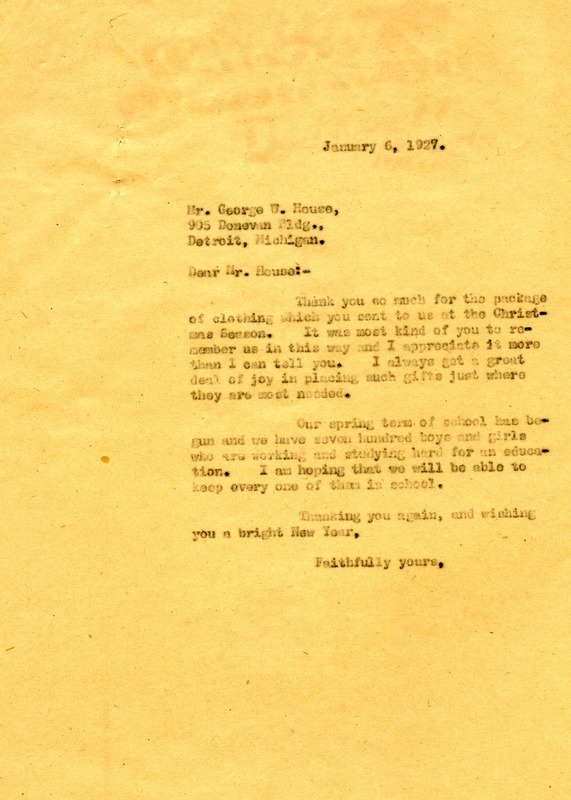 Martha Berry writes to George W. House thanking him for the package of clothing during the Christmas Season. She hopes that they will be able to keep the boys and girls at the school in the spring. Martha Berry, “Letter to George W. House from Martha Berry.” Martha Berry Digital Archive. Eds. Schlitz, Stephanie A., Chelsea Risley, Aaron Jackson, et al. Mount Berry: Berry College, 2012. accessed April 20, 2019, https://mbda.berry.edu/items/show/6362.